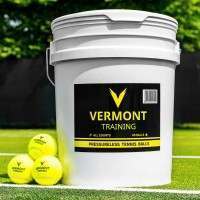 Created using vinyl-coated polyester (all-weather), the premium net headband has been quad-stitched using ultra-heavy-duty thread to provide excellent protection against tennis ball impacts. 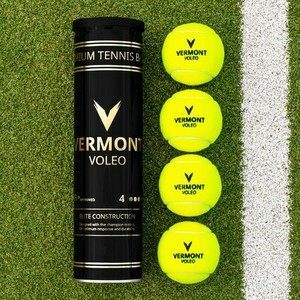 Universally fitted, our Vermont Tennis Nets are specially designed to be compatible with standard tennis posts worldwide. Choice of net headline wire cable included (loop & pin or double loop). The 2.5mm twisted HDPE twine net has been UV treated giving it supreme weather & rot-resistance. 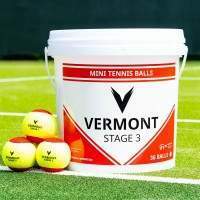 The 45mm knotted mesh design ensures the net is well-equipped to cope with tennis ball impacts. 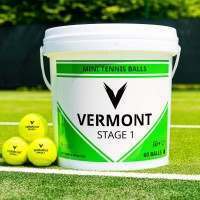 This Vermont 2.5mm Tennis Net offers an elite performance at exceptional value. 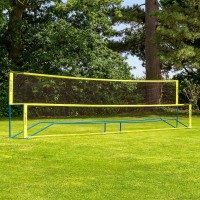 Channelling all the professional qualities of its doubles equivalent, this 33ft regulation singles tennis net guarantees to transform your tennis court. 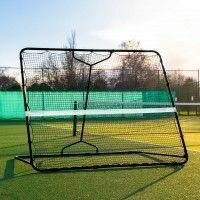 Ideally suited to schools, tennis clubs and home tennis courts, this tennis net features a high-quality construction, made up of premium materials which combine to deliver outstanding durability. 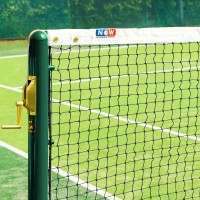 Coming with a net headline wire included (loop & pin or double loop), this net can be secured to any standard tennis posts in just minutes. 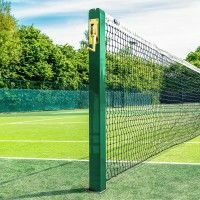 Exceptional durability with an elite performance is a winning combination this tennis net can deliver. 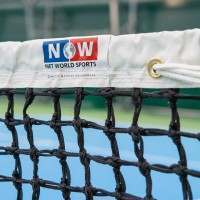 The net has been manufactured using UV treated 2.5mm twisted HDPE net twine, which allows it to maintain its high standards on indoor and outdoor tennis courts. 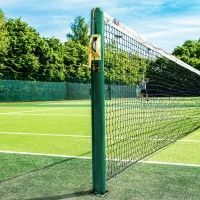 The impressive year-round tennis net also features machine-stitched rope borders, which allow for easy lacing to tennis posts as well as protecting the net against fraying over time. 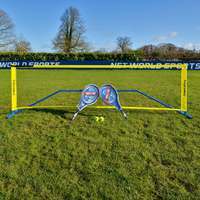 Completing this high-quality singles tennis net is the professional optic white headband. 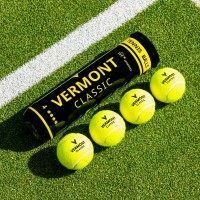 Specially designed to adhere to official match regulations, the headband has been quad-stitched using a heavy-duty thread, giving it supreme resistance to tennis ball impacts. As well as excellent robustness, the headband has been manufactured using premium polyester with a vinyl-coating, making it 100% weatherproof – suitable for indoor & outdoor use. PLEASE NOTE: Our Vermont Tennis Nets come with a choice of Tennis Net Headline Wire Cable included (Loop & Pin or Double Loop). 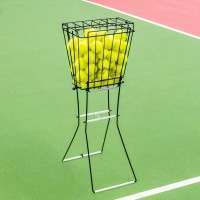 To add the correct style of cable to your tennis net, please select accordingly above.